I’ve been feeling so much shifting and changing energetically both within and around me, really for a few weeks now. So as a part of this… This morning, amidst feeling my inner Divine light stirring and, realigning… And very much feeling the winds of change I felt prompted to channel… My Divine Self. This is a message of love, from my highest Inner Divine Being so you can more fully embody yours. Breathe and remember that you are connected to everything through what may be called the unified field, energy, oneness, or simply love. When you consciously tune into this connection, your link with the Divine and with the infinite… You can then choose what you are contributing to the greater unified field. You can become deliberate in the energies you're sending out to mix with the greater all. Know that this, your personal energetic signature is always creating. It mixes and mingles with that of every other individual and together, you co-create the world and dream your present dream. There are of course other influences. Groups who have banded together to sway the creation this way or that with very advanced, deliberate, and even times malicious intent. That even so, know your power in becoming a fully awakened sovereign being. Your power in remembering who you are and bringing this full light and embodied love into the physical equates to far more power than has previously been accessible by any groups or self-serving individuals. For when you weave love into your field, and shine in the truth and oneness of the divine being you authentically are within the physical… When you shine your light forth to not only serve yourself and your tight knit circle of loved ones and rather expand to truly hold the intention for your light and presence, and true Divine power to benefit and serve, and uplift the entire playing field in alignment with the highest interest of all… In this your power is unmatched. 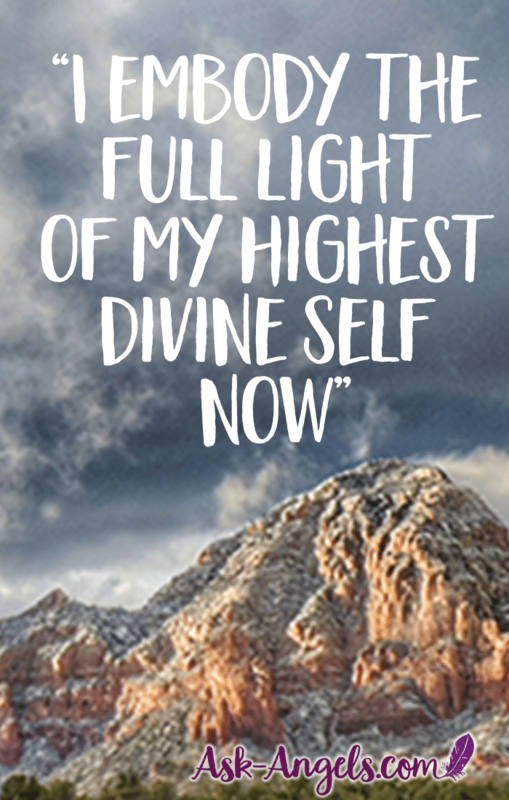 Through simply receiving these words, we know you can glimpse, or perhaps more accurately feel, deep down, at the level of your heart, and at the level of your higher truth how infinitely powerful your embodiment truly is. This is when you tap into your full power… Embodiment, fueled by love and presence, and supercharged by coming into resonance with the highest interest of all. In this, the answer to the question which you often ask –”how may I serve”… Remains multifaceted, but at the core is truly simple. Embody all that you are. Know that this is an ever-elevating awareness. You have lifted high and expanded wide yes, but there is much further and in each moment there will be a further level of progression. This embodiment of course benefits you. For there is a gentle serenity and a strong fulfillment which comes through simply standing in the truth that you are. And yes, as a natural result of embodiment your manifestation and creation ability increases… But so to does the playing field on which you are creating within change. This is not to say it becomes more difficult to create, for it does not. Rather, your priorities for what you want naturally shift and evolve as your embodiment and soul resonance aligns. For this alignment itself becomes the bounty. That is not to say you will no longer have a desire for physical things, experiences, and creation… But rather that desire at its core evolves as your ego matures and comes into alignment with who you really are. Understand, when we speak of masses, we still indeed speak of the transformation of one individual at a time, for when one individual returns to a higher awareness, and sends forth coherent love and wavelengths of awakened consciousness through all they do, this illuminates the path for the next. Through this wave of embodied awareness, light, peace and love… Another naturally awakens to a new level, and then another. This ripple effect, this wave of change is already in motion. You are a part of it and so are all. For recognize that even those playing the roles of manipulator, even those seeking to hold back power for the few, and even those who may feed and prey on lower levels of emotion and fear based energy. They are a part of the greater oneness and unified field. They have provided valuable lessons of duality and struggle in the past, and are now a part of those whom the wave of coherent love will reach without judgement of any sort, for this too evolves into love. Many will be transformed and reminded of a far greater power than the control, drama, and fear they have grown accustomed to feeding off of. For when one chooses the higher dimensional expression and experience of Divine love… They are tapping into infinite power. This cannot be held back, and by Divine design this creates a wave of awareness seeking to free, heal, and reconnect all with the true source of power that indeed is Divine, Unlimited, and very much accessed for each and for all, within. And so the question remains for you. Will you step up into your true power in this moment now? Will you choose to shift and to experience the embodiment of your Divine Being? Or will you wait for permission, reassurance, confirmation, or simply for the energies of the old paradigm to further crumble and the wave of coherence to gain momentum before you more boldly step into the new? Drop into your heart and simply choose to tap into your highest potential now. P.S. 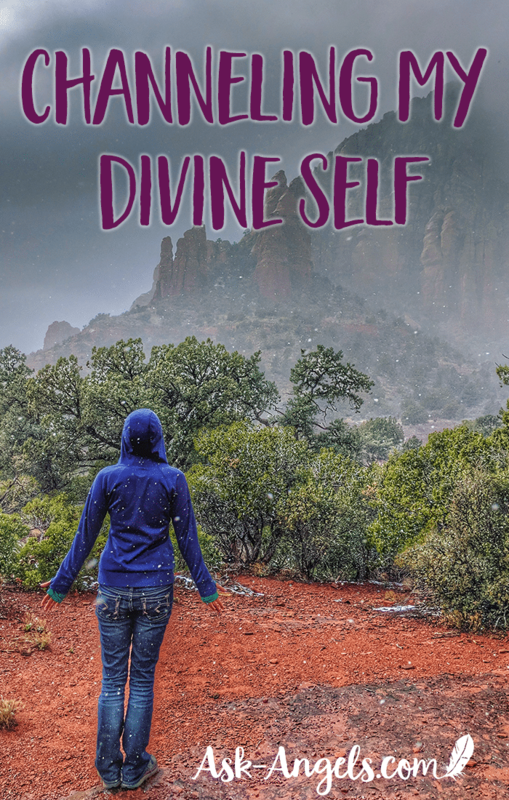 Want further assistance stepping into the embodiment of your Divine Self? Check out this channeled meditation with the Council of Light ~ Your Highest Divine Light Being. 4 Brilliant Ways to Stay Awake During Meditation! You have a simple, to the heart, way of sharing your experience and Knowledge of Love. As I am reading it, I felt as though I could have written it, we resonate that strongly in our approach. A quote from my book: “This is your new story if you are willing to let go and open your heart widely to Love as it expresses now, in its ever-expanding journey into manifestation. Come, journey forth with me in discovery mode, full of wonder, awe, and excitement. Come and play in the ever-present moment where All Possibility exists to express JOY eternally.” With Gratitude and so much LOVE for YOU! I will be back. Love this message and I LOVE how you teach through your writing. It is always outstanding and full of love. Thanks for sharing! This is my favorite channeling so far. This is more important than channeling “others” . Love it. Big cheerful smiles from me to you. Hooray! Very informative and spot on. Thank you. Melanie, this resonated very strongly with me. What an amazing message. Truly empowering! Thank you for being a Light in this world! Thanks for this inspiring message. Could hear your voice saying it, as I have listened to you so many times before! Grateful for all the free downloads from Spirit/Angels/Your Higher Self. They make a huge difference, at times are life saving. Thank-you. Wow! Thank you Melanie for that message. As I read it I felt a charge of energy from the back of my head all the way down my spine. Very powerful. I could definitely see this as an audio/video message. I thoroughly enjoyed your timely message. It was abundant in meaning and power and I am grateful to you and The Universal Energies.